Wellington, Florida (March 2, 2016) – Riders across Florida are invited to join The Ridge at Wellington for an elegant evening of dining, socializing, and world class hunter derby competition on March 18th at Jim Brandon Equestrian Center. As the second Hunter Derby Day event during the Turf Tour show series, March 18th’s nighttime class will take place in the fantastic, oversized covered arena at Jim Brandon, setting the stage for a unique and welcoming ambiance to showcase the elegance and beauty of performance hunters. Consistently attracting top names in the sport, including Olympians, medal finalists, and international champions, the Turf Tour’s Hunter Derby Days has crowed numerous household names in the hunter world, including Kelly Farmer and Peter Wylde, and offers an exclusive way to qualify for other International titles and the National Hunter Derby Championships in a utopian atmosphere. Newly introduced this year, the evening class will include even more amenities for riders and spectators, including VIP table packages, a rider’s lounge, and a competitor party, in addition to the exceptional services offered at every Turf Tour show. The evening’s classes will include a $5,000 Dietrich Equine Insurance USHJA National Hunter Derby and a $15,000 USHJA International Hunter Derby, both with courses designed by Kevin Giblin. Judges Mindy Minetto, Christina Schlusemeyer, Sue Ashe, and Linda Andrisani will evaluate each pair on their form and the horse’s movement over elegant natural obstacles, while spectators look on from the comfort of elegantly appointed tables. Kelly Farmer and It’s Me rode a fantastic set of rounds to win the $15,000 USHJA International Hunter Derby on February 5th, setting the standard for world class hunt seat in the first Hunter Derby Days. Molly Sewell proved her mettle in the morning, taking both first and second in the $5,000 Dietrich Equine Insurance USHJA National Derby. She topped the field with lovely rides Leslie C. Campbell’s E. L. Raymond, and took the Reserve Championship title with Mtm Caruso S, owned by Brynn Hanson. For those interested in entering the second Hunter Derby Days competition, contact The Ridge at Wellington at RidgeShows@aol.com, 908 500 0996, or view a full prize list. Farms or individuals seeking information on purchasing VIP table packages, or with any other questions regarding the event, please call 908 500 0996. The Ridge also hosts a USEF Rated Equitation show each Tuesday during the winter show season, and its Palm Beach Series hunter and equitation show occurs one weekend each month at the farm. For more information, visit www.theridgefarm.com. For up-to-date information, please follow The Ridge at Wellington on Facebook. Sara Wayda and Faroukh. Photos courtesy of Equinium Sports Marketing/The Ridge at Wellington. Wellington, Florida (February 23, 2016) – A quick and careful ride from Sarah Wayda aboard her own Faroukh put her at the head of the class following a day of competition for Turf Tour Week 7 at the International Polo Club. With only 11 horses putting in clear rounds to advance to the jump off, Wayda set the jump off time at 40.078 seconds, just beating out big names like Katherine Dinan, Olympian Beat Mandli, Darragh Kenny, and Conor Swail in the Turf Tour’s seventh week of Grand Prix competition. Faroukh, an 18-year-old Rheinlander gelding by Rembrandt, is owned and trained by Wayda and Andrew Philbrick of Hunter Farms in Princeton, New Jersey, and their plan for this week included using the Turf Tour’s Grand Prix to prepare Faroukh for Sunday’s Grand Prix at the PBIEC Stadium. “The Turf Tour is a fantastic option to compliment the winter equestrian season,” said Philbrick. “We planned far in advance to have Faroukh come to the Turf Tour on Friday and then the Stadium on Sunday. Sara always rides very clean rounds, and we have been working on her getting faster in the jump offs. Today she really stepped on it and it went fantastic; this horse tries very hard and is very special to us.” Sara and Faroukh were trailed by only seven other double clear efforts, all within a few tenths of a second of her time. Week 7’s Turf Tour lineup included some of the best in the business, including Beat Mandli, Katherine Dinan, Debbie Stephens, Beth Underhill, Darragh Kenny, and Conor Swail. Second place went to Sandra Dalman of Southview, Inc. riding A-Frieda-O, with a double clear round and final time of 40.627. Maria Schaub riding Hilfinger van de Celemnhoe was third, also with a double clear and a time of 40.687, and fourth was Katherine Dinan took fifth and sixth aboard Zander and Simba, with final times of 40.825 and 40.850 seconds. She was followed by Darragh Kenny in sixth, seventh, and eighth with Caliber (double clear, 42.43.080), Utopia Di San Patrigi (double clear, 44.116 seconds), and Glamour Van De Kakebee (four faults in the jump off, 42.960). Ninth and tenth place were awarded to Tina Yates riding Valencia and Chelsea Ross riding Calida. “This week’s Grand Prix is a bit more technical, building on the basics as we progress more into season,” said course designer Nick Granat. The spacious polo fields of the International Polo Club require riders to ride accurately and find their distances correctly, or sacrifice time and rails. Friday’s competition also included Low, Medium, and High Schooling Jumper and Young Horse classes in addition to the Grand Prix, and on Wednesday Beth Underhill aboard Count Me In and Brianne Goutal with Zemike K were victorious in the $2,400 1.30-1.35m classes. Hosted by The Ridge at Wellington, the 2016 Turf Tour is the brainchild of Olympian Nona Garson, George d’Ambrosio, and Craig Bergmann, who intended for the series to act as a catalyst for the growth and development of horses and riders. The Turf Tour combines breathtaking venues with amenities as world class as its competitors. Week Eight of the Turf Tour will again take place on the beautiful grounds of the International Polo Club on Wednesday and Friday, February 24 and 26, 2016. On March 18, The Ridge at Wellington will also host the second of its Hunter Derby Days competitions, featuring a $5,000 Dietrich Insurance USHJA National Hunter Derby and $15,000 USHJA International Hunter Derby. Set in the evening under the lights of the spectacular covered arena at the Jim Brandon Equestrian Center and attended by some of the top names in hunter competition, the second and final Hunter Derby Days competition this season is not to be missed! For more information, visit www.theridgefarm.com. For up-to-date information, please follow The Ridge at Wellington on Facebook. Wellington, Florida (February 14, 2016) – In one of its busiest shows yet this season, week 5 of The Ridge at Wellington’s Turf Tour series combined world-class competition and ideal weather as Olympians, amateurs, juniors, and young horses vied for top honors on Wednesday and Friday, February 10 and 12, 2016. Irish riders rode to top finishes across the major divisions, including the Grand Prix and 1.30-1.35m divisions, as Darragh Kenny, Cian O’Connor, and Conor Swail dominated the standings to make it a true Irish sweep. To round out the Irish dominance during week 6, Darragh Kenny and Gatsby, owned by Toffolon Partners, LLC, won both of the 1.30-1.35m classes, with Beth Underhill aboard Cadermie and Edward Levy aboard Starlette de la Roque taking the reserve in each class. Granat’s designs in the Grand Prix and 1.30-1.35m made excellent use of the expansive turf course, and was intended to present a challenge that relied upon the use of strong basics and tactful riding to adjust between the first round and jump off. Thanks to the generosity of the Turf Tour’s newest sponsor, Bright’s Creek, the winner of Friday’s Junior/Amateur Owner Classic and Grand Prix will receive a 3-day, 2-night trip to their beautiful destination in the mountains of North Carolina. From equestrian activities and fine dining to luxury accommodations and an exclusive BMW Off Road Excursion through 7.2 miles of wilderness trails, hardwood forests, and ancient rock formations, the Turf Tour’s competition now have even more reason to put their best foot forward as Bright Creek will be sponsoring the Grand Prix and Junior/Amateur Owner Classic through the rest of the season. For more information visit the Bright’s Creek website. In addition to the Grand Prix and 1.30-1.35m divisions, the second arena featured Low, Medium, and High Schooling Jumpers, 5-, 6-, and 7-Year-Old Jumper classes and qualifiers, a Junior/Adult Amateur Classic, and Speed/Jump Off classes. Intended to act as a catalyst for the growth and development of horses and riders, the Turf Tour combines breathtaking venues with amenities as world class as the riders to consistently draw some of the top competitors in Wellington. Week Seven of the Turf Tour will again take place on the beautiful grounds of the International Polo Club on Wednesday and Friday, February 17 and 19, 2016. 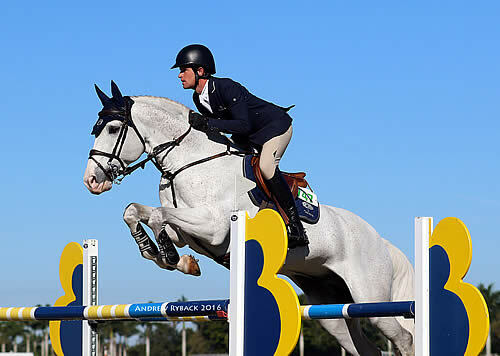 Wellington, Florida (February 7, 2016) – Two-time US Olympic Gold Medalist McLain Ward brought three horses to compete in Friday’s $15,000 Grand Prix at Carben Farm on the 2016 Turf Tour, and proved once again that he is a force to be reckoned with. He took the top three spots in the class with double clears aboard Tine Le Boheme, HH Best Buy, and HH Ashley over the turf course designed by Pierre Jolicoeur. An early double clear from Jonathan Corrigan and Aries (Argentius x Grannus) set the pace at 33.079 in the jump off. McLain’s first ride with HH Best Buy finished at 31.467 seconds, topping Corrigan and Aries. In his second effort with Tine Le Boheme, the pair put in a double clear and beat out their own jump off time with a 30.590. The Olympian’s final ride aboard HH Ashley differed from Tine Le Boheme’s by a hairsbreadth, finishing the jump off with 30.269. A late double clear by last week’s Turf Tour Grand Prix champion, Gianni Gabrielli and HH Rombaucheau finished with 32.170, slipping into the fourth between McLain and Corrigan. The adjacent sand arena hosted Low and Medium Schooling Jumpers, Children’s/Adult Jumpers and Child/Adult Jumper Classic divisions. The Lows were won by Karyn Foley aboard Evanieke and Jennifer Barnhard with Winsome Maverick. Mediums saw Sarah E. Wayda with Contentus and Jenny Rankin with CHS Inception victorious, while the Children’s/Adult Jumper 1.15m and the Child/Adult Jumper Classic were ruled by Devon A. Degen and Zippo. The Junior/Amateur Owner Jumper 1.20-1.25m and Junior/Amateur Owner Classic saw Lynsey K. Whiteacre and Zorzuela Leuze Z at the top of the field. Wednesday’s 1.30-1.35m Jumper classes were won by 2012 Olympic Medalist Ben Maher aboard Jane Forbes Clark’s Aristo Z and Agatha Van Gysel Langlois and her mount Terra Calamaco. The Low Schooling Jumpers were won by Jayme Taylor with Chester T and Nicholas dello Joio with Corlida. Mediums went to Amanda R. Cole with Quick Latinus and Jonathan Corrigan with Merlin. High Schooling Jumper winners were Alexander Zetterman with Contessa and Amanda R. Cole with Quick Latinus. The 6-Year-Old Division was won by Senan Hayes with Konquer BC and the 7-Year-Old 1.30m went to Amanda R. Cole and Jericho. The Turf Tour’s Grand Prix, 1.30-1.35m, and other jumper divisions are intended to act as a catalyst for the growth and development of horses and riders. “Our goal is giving competitors the chance to experience everything, from riding on the turf polo fields at the International Polo Club to showing under the lights in an indoor arena,” said George D’Ambrosio, co-organizer of the Turf Tour with US Olympian Nona Garson and Craig Bergman. Week Six of the Turf Tour will take place on the beautiful grounds of the International Polo Club on Wednesday and Friday, February 10 and 12, 2016. Wellington, Florida (February 6, 2016) – The fantastic covered arena of the Jim Brandon Equestrian Center set the stage for the first of this year’s Hunter Derby Days, presented by The Ridge at Wellington. As a branch of the 2016 Turf Tour, the Hunter Derby Days showcased some of the top hunters in the world being judged on their form and their horse’s movement over elegant natural obstacles. 2014 Hunter Derby Days Champion Kelly Farmer returned to defend her title, and for the second year in a row she clinched the international class. Farmer and her own It’s Me put in a fantastic performance in both rounds of the $15,000 USHJA International Hunter Derby to the standard for world class hunt seat at The Ridge. She was followed closely by Louise Serio aboard Jessica Burger’s Rock Harbor who rode to the Reserve Champion title. Round one of the International Derby was won by Farmer on Kent Farrington’s Like I Said, while Serio and Like I Said secured the win in the Handy. Farmer and It’s Me placed second in both rounds, ultimately earning them the overall win in the International Derby. Molly Sewell proved her mettle that morning, taking both Champion and Reserve in the $5,000 Dietrich Equine Insurance USHJA National Derby. She topped the field with lovely rides Leslie C. Campbell’s E. L. Raymond, and took the Reserve Championship title with Mtm Caruso S, owned by Brynn Hanson. Generously sponsored by Dietrich Equine Insurance, the National Derby served as a way for riders to qualify and earn points for the National Hunter Derby Championship across the various divisions including Performance Working Hunter, Pre-Greens, Amateur Owner, and Junior Hunter. The Turf Tour’s trademark hospitality and relaxed atmosphere carried over to both the National and International Derbies, with complimentary lunch, an organized horse shuttle, and permanent stabling offered to all competitors. Judges George Wallace, Diana Carney, Spencer Chatham, and Carol Hoffman were tasked with evaluating and awarding the best rides in each of the USHJA events, and Kevin Giblin’s course designs set the stage for a true test of the agility and elegance of performance hunters. Organized by Olympian Nona Garson, George D’Ambrosio, and Craig Bergman, The Turf Tour’s competitive, utopian show atmosphere is matched only by its hospitality. For only $75, riders can schedule pick up and drop off at the Turf Tour’s weekly venue, including both of the Hunter Derby Days competitions, as well as a trip back to their farm anywhere in Wellington after their rides. With the inclusion the pageantry and athletic prowess of performance hunters through the Hunter Derby Days, 2016’s Turf Tour is setting a new standard for national and international competition. The Turf Tour continues Saturday, February 6th at Carben Farm (formerly Ashland Farm) with the headline Grand Prix on the turf field. The second of the Hunter Derby Days will take place on Friday, March 18 at Jim Brandon Equestrian Center. The evening class will take place under the lights, and will offer a unique atmosphere for riders and spectators to experience world class hunter competition. The Ridge will also host a USEF Rated Equitation show each Tuesday during the winter show season, and its Palm Beach Series hunter and equitation show occurs one weekend each month at the farm. For more information, including a full prize list, visit www.theridgefarm.com. For up-to-date information, please follow The Ridge at Wellington on Facebook. Wellington, Florida (February 1, 2016) – Early February is a busy week for sports and the south Florida equestrian circuit is no exception. The Ridge at Wellington’s diverse winter show circuit expands this week into the upper echelons of American hunter competition, with two Fridays showcasing the elegance and agility of the performance hunters. Set to debut in 2016 on February 5th and continue March 18th at Jim Brandon Equestrian Center, both Hunter Derby Days will feature a $15,000 USHJA International Hunter Derby and $5,000 USHJA National Derby, totaling over $40,000 in prize money. As a unique and dynamic way to qualify for national and international caliber championships, Hunter Derby Days serve as a true test for the finest jumping hunter horses and riders in the US, as well as a lead in for the International Hunter Derby Finals to be held in Lexington, Kentucky at the USEF Headquarters. As part of The Ridge at Wellington’s Turf Tour, the popular derby circuit is celebrating its third consecutive year in 2016, and has attracted a strong following of top riders. Past winners include champions Kelly Farmer and Peter Wilde, who will return to the competition on February 5th to defend their titles; the event continues to attract the best riders and exceptional horses as they hone their skills. Judges George Wallace, Diana Carney, Spencer Chatham, and Carol Hoffman will be tasked with evaluating and awarding the best rides in each of the USHJA events, and Kevin Giblin’s course designs will set the stage as the fantastic covered arena at Jim Brandon swaps the brilliant show jumping fences for the natural obstacles and elaborate courses of the hunter ring. Organized by Olympian Nona Garson, George D’Ambrosio, and Craig Bergman, The Turf Tour’s competitive, utopian show atmosphere is matched only by its hospitality, which includes free breakfast and lunch for all competitors, spectators, and owners, riders’ lounges, competitor parties, and an equine shuttle organized through Meadowbrook Horse Transport. For only $75, riders can schedule pick up and drop off at the Turf Tour’s weekly venue, including both of the Hunter Derby Days competitions, as well as a trip back to their farm anywhere in Wellington after their rides. With the inclusion the pageantry and athletic prowess of performance hunters through the Hunter Derby Days, 2016’s Turf Tour is setting a new standard for national and international competition. 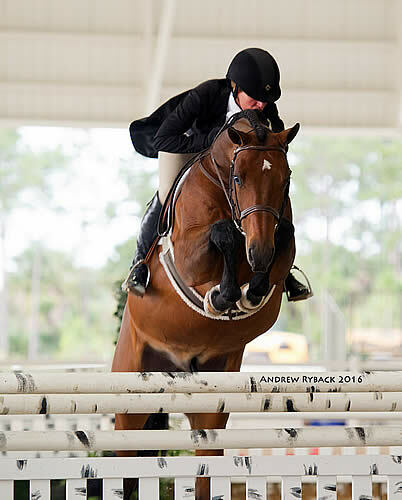 The Ridge will also host a USEF Rated Equitation show each Tuesday during the winter show season, and its Palm Beach Series hunter and equitation show occurs one weekend each month at the farm. For more information, including a full prize list, please go to www.theridgefarm.com. For up-to-date information, please follow The Ridge at Wellington on Facebook. The winner of Friday’s $15,000 Turf Tour Grand Prix, Gianni Gabrielli and HH Roachambeau. Photos courtesy of The Ridge at Wellington/Equinium Sports marketing. Wellington, Florida (January 30, 2016) – Following a quick change of plans that allowed exhibitors to compete while other horse shows in the area were forced to cancel, The Ridge at Wellington Turf Tour relocated to Jim Brandon Equestrian Center in West Palm Beach for its fourth week of competition on January 27-29, 2016. The 13-week circuit wrapped up 3 days of showing and schooling that showcased everything from Olympic riders and High Jumper divisions to amateurs, young horses, and juniors. The diverse class offerings and world-class competition were accented by a relaxed, utopian show atmosphere and exceptional hospitality including an organized horse shuttle and complimentary breakfast and lunch. The week’s headline class, the $15,000 1.40m Grand Prix, kicked off 31 rides on Friday with 2012 Olympic Team Gold Medalist Ben Maher and the 10-year-old Selle Français mare Sarena putting in a double clear round under the oversized covered at Jim Brandon. Maher was followed by a slew of international, World Cup, and Olympic competition, with Gianni Gabrielli aboard Emanuel Andrade’s HH Roachambeau topping the field with the smokingly fast jump-off time of 35.475 seconds. Kathy Kitterman, trainer of Gabrielli and HH Roachambeau, stated, “It was a very nice class; we’ve been at the Turf Tour the past three days, and plan to attend the series for the whole season. We’d like to thank Emmanuel Andrade for allowing Gianni to compete this week. HH Roachambeau is a very powerful horse, and has been learning how to keep a steady pace.” It would seem that the 8-year-old Dutchbred gelding by Quasimodo Z found his stride in the Turf Tour’s Grand Prix, as he and Gabrielli went early and held the lead through to the end. With the footing in the outdoor rings drained from the deluge of rain on Wednesday and Thursday, the Low, Medium and Schooling jumpers ran throughout the day Friday in the sunny, crisp weather. The Low Schooling Jumper divisions were clinched by Claire Stevenson & Perugina and Amanda R. Cole & Jericho; Bertrand Legriffon’s Barok and Juan Pablo Betancourt & Dynastie Up Wis ruled in the Medium Schooling Jumpers, while Mary Kate Olsen topped the Children’s/Adult Jumpers and $2,000 Child/Adult Jumper Classic with Virginia and Hertog Van’t Merodehof. Wednesday’s two $2,400 1.30-1.35m Jumper divisions were both dominated by Miguel Ventura and his two mounts, Swagger and Quan. Thursday also hosted a day of unrecognized Low, Medium, and High Schooling Jumper divisions in Jim Brandon’s covered arena, with over 200 rounds being ridden throughout the day. Designed by Nick Granat, the Turf Tour’s Grand Prix, 1.30-1.35m, and various courses are intended to act as a catalyst for the growth and development of horses and riders. The straightforward, 1.40m Grand Prix reflected the need for solid basics and resulted in a number of double clears, while the lower schooling classes and divisions gave the opportunity for horses and riders in a variety of levels to experience and compete in different venues and atmospheres. “Our goal is giving competitors the chance to experience everything, from riding on the turf polo fields at the International Polo Club to showing under the lights in an indoor arena,” said George D’Ambrosio, co-organizer of the Turf Tour with US Olympian Nona Garson and Craig Bergman. The decision to move the Turf Tour’s fourth week, which was originally scheduled to take place at the International Polo Club, was made by show management after a forecast of heavy rain and wind threatened to force cancellation of the competition. For week 5, plans are in the works to confirm Jim Brandon Equestrian Center for Wednesday, when the weather is scheduled to deteriorate. The Jim Brandon Equestrian Center will also host The Ridge at Wellington’s Hunter Derby Days, an expansion of the Turf Tour series featuring two Fridays of competition showcasing the elegance and agility of the hunter ring. Set to be held February 5th and March 18th, Hunter Derby Days will each feature a $15,000 USHJA International Hunter Derby and $5,000 USHJA National Derby, totaling over $40,000 in prize money. 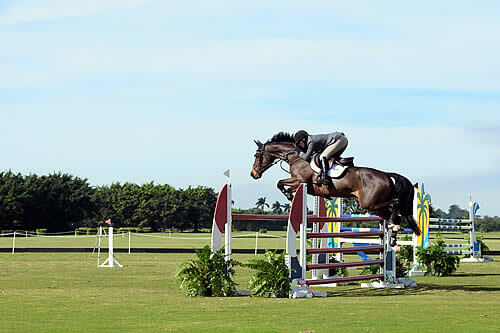 As part of The Ridge at Wellington’s Turf Tour, the popular derby circuit is celebrating its third consecutive year in 2016, and has attracted a strong following of the top riders in the country who winter in Florida and compete at H.I.T.S. Ocala and The Winter Equestrian Festival. The fantastic covered arena at Jim Brandon will swap the brightly colored fences of show jumping for the natural obstacles and elaborate courses of top tier hunter competition. 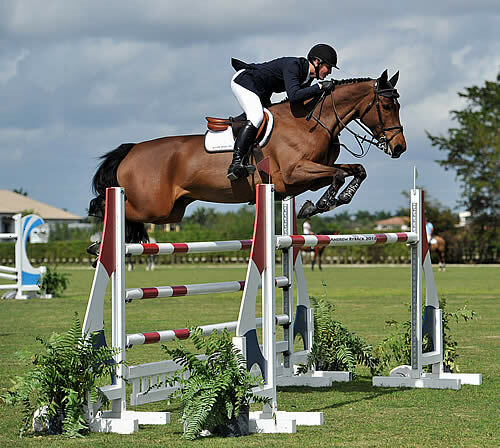 The Ridge At Wellington also hosts a USEF Rated Equitation show each Tuesday during the winter show season, and its Palm Beach Series hunter/jumper show occurs the second weekend of each month at the farm. For more information on the Turf Tour, including a full prize list, please go to www.theridgefarm.com. For up-to-date information, please follow The Ridge at Wellington on Facebook. Photos courtesy of The Ridge at Wellington/Equinium Sports Marketing. Wellington, Florida (January 15, 2016) – An unseasonably wet winter has not made it easy to organize or participate in the equestrian events in Wellington, Florida. Due to a forecast of rain, lighting, wind, and possible tornadoes on Friday, January 15, The Ridge at Wellington has decided to postpone the second day of competition during the second week of the 2016 Turf Tour for the safety of its competitors. An identical class schedule will commence at 8am on Saturday, January 16, which currently has a significantly milder forecast. The first day of Turf Tour Week 2, January 13, was crisp and sunny. With the elegant International Polo Club as a backdrop, top international riders, including Jessica Springsteen, Conor Swail, and Quentin Judge, vied for a slew of prize money in classes ranging from the 1.30-1.35 Jumpers to 5- and 7-Year-Old Jumper classes. The unique competition venue and natural grass footing offer a way to condition green horses and riders to large competitions, while providing a change of scenery and the chance to hone specific skills to the more experienced competitors. Saturday’s class schedule will feature the $15,000 Grand Prix, as well as Schooling Jumpers, Child/Adult & Low Junior/Amateur Jumper divisions. The 13-week show series is a unique addition to Wellington’s growing winter circuit, offering riders top-tier competition, generous prize money, and an unparalleled atmosphere. 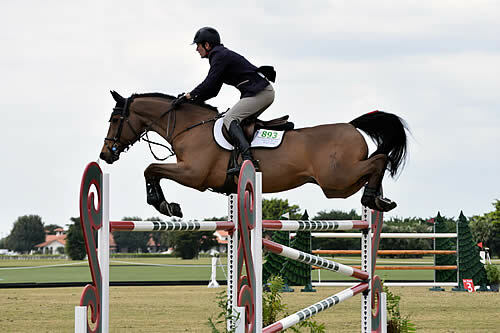 Young horses and advancing riders are able to test their mettle in classes ranging from junior and amateur jumpers to the Grand Prix, and in a variety of venues reminiscent of the large European tours. Organized by Olympic show jumper Nona Garson, George D’Ambrosio, and Craig Bergman, the vision that inspired the tour’s conception was bringing back the old world flair to over fences classes, staging competitions on springy, natural turf surfaces away from the chaotic intensity of other show grounds. But the laid back atmosphere, which includes open ended show times and concurrently running divisions, doesn’t fail to attract some of the sport’s biggest names, keeping the competition up to par. In the event that the USEF does not approve the revised schedule, The Ridge at Wellington will host the event as an unrecognized show. For more information about The Ridge at Wellington, please go to www.theridgefarm.com. For up-to-date information, please follow The Ridge at Wellington on Facebook. Wellington, Florida (January 10, 2016) – An unusually rainy and misty day greeted competitors, owners, and spectators at Schulyer Riley’s Wolfstone Farm, but did not dampen spirits as they lined up to show and watch the first installment of the 2016 Turf Tour series presented by The Ridge at Wellington. The season’s inaugural competition welcomed a substantial turnout of professional, junior, and amateur riders to its adjacent rings, with the grass and sand arenas running concurrently and hosting everything from Low Schooling Jumpers to various top-level jumper classes on the derby field. Andrew Kocher, a newcomer to the turf tour, put in efficient rides aboard a group of three horses and won impressively with double clear rounds aboard Coconut, an entry of Eagle Valley Partners, LLC. Katie Dinan aboard Grant Road Partners’ Checkpoint U, Dougie Douglas and Galan S finished second, third and fourth. Kocher followed Ms. Dinan’s performances placing 5th and 6th with his own Red Lady and Eagle Valley’s Ciana. The derby field course, designed Nick Granat, presented riders with a modest yet technical and straightforward challenge that stressed accuracy and timing. The courses for the sand arena followed in the same vein, presenting the opportunity for horses and riders to gain experience and skill. The Low Schooling Jumper divisions saw Daniella McCormick and Anne Veeder victorious with their mounts, Nash and VDL Viktor, while Joseph Comunale and BTW took the win in the Medium Schooling Jumper and the Junior Amateur Classic. Anne Veeder and Carbonari 3 ruled supreme in the series’ largest class of the day, the $2,000 Children’s Adult Jumper, and the second Children’s Adult Jumper class saw Kristen Landino and Wirco Polo victorious. With the goal of developing young horses and advancing riders, the Turf Tour is a 13-week show series and a unique addition to Wellington’s growing winter circuit, offering riders top-tier competition, over $400,000 in prize money, and an unparalleled atmosphere. The ‘show when you like,’ open-ended schedule offers convenience and a more distilled competitive environment, without sacrificing the challenge and competition found at nationally recognized shows. Organized by Olympic show jumper Nona Garson, George D’Ambrosio, and Craig Bergman, the vision that inspired the tour’s conception was bringing back the old world flair to jumper classes by staging competitions on springy, natural turf surfaces away from the chaotic intensity of other show grounds. Running every Wednesday and Friday during the winter season, with the exception of two Saturdays (February 6 and March 19) to accommodate for The Ridge at Wellington’s National and International Hunter Derbies, the Turf Tour offers classes ranging from junior and amateur jumpers to the Grand Prix, and in a variety of venues reminiscent of the large European tours. The Turf Tour’s competitive, utopian show atmosphere is matched only by its hospitality, which includes free breakfast and lunch for all competitors, spectators, and owners, riders’ lounges, competitor parties, and an equine shuttle organized through Meadowbrook Horse Transport. For only $75, riders can schedule pick up and drop off at the Turf Tour’s weekly venue, as well as a trip back to their farm anywhere in Wellington after their rides. By removing the hassle of transport and offering numerous perks in addition to prize money, competition, and a unique atmosphere, the Turf Tour is setting a new standard for show experiences in Wellington. Turf Tour Week 2 will be held at the prestigious International Polo Club on January 13 and 15, 2016. The Ridge will also host a USEF Rated Equitation show each Tuesday during season, and its Palm Beach Series hunter and equitation show occurs one weekend each month, at The Ridge at Wellington. The equitation competitions are envisioned as a way for riders to qualify for the national championship finals in a relaxed, quiet environment. 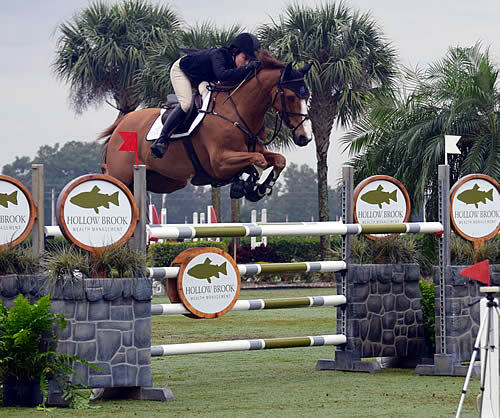 February 5th and 18th, 2016, The Ridge at Wellington will play host to two USEF/USHJA National and International Hunter Derbies, which offer over $40,000 in prize money and showcase the athletic prowess of performance hunters over natural obstacles. For a full prize list and show schedule, visit Shows at The Ridge at Wellington. Wellington, FL – March 27, 2015 – The picturesque polo fields of the International Polo Club Palm Beach (IPC) are accustomed to a vibrant social scene, the traditional bottles of champagne while stomping divots and the fast-paced game of polo. This week, as the 111th U.S. Open Championship 26-goal is about to commence, The Ridge at Wellington Turf Tour Finale highlighted the kick-off of the weekend with an astonishing race to the finish during the $24,990 1.40m Grand Prix Finale event. It was the 2015 Leading Rider, Conor Swail, who narrowly held onto the lead with Dillinger. The talented Irishman has dominated the series this winter, cruising to six of the 12 Grand Prix victories aboard a talented string of mounts. Riding for Susan and Ariel Grange, Swail has continually supported the series from its first week until the last. The IPC generously sponsored the 2015 Leading Rider Award, donating an exclusive Equestrian Membership, valued at $6,000 for the winningest rider. Beginning January 2016, Swail will be able to enjoy all of the private accommodations of the world famous venue. As only the eleventh rider of the day, Swail did not think that his time of 35.200 seconds would hold for the first place finish. He narrowly beat out Alex Granato and Zenith Dance, the first pair to go double clear in the jump off in a time of 36.378 seconds. Swail was able to surpass Granato by leaving out a stride down the first line from the opening oxer to the vertical, as well as navigate the rollbacks to clear the bogey obstacle of Nick Granat and Eric Hasbrouck’s short track, the oxer-oxer double combination. Although riders attempted to catch his pace, it turned out that nobody could. Faults were found throughout the course, with the triple combination and the final double combination seeing the most rails fall. However, there was one jump that mattered the most – the final fence, the Panthera Vertical. For every time the jump was cleared, friends of the Panthera Conservation donated $50 to the organization, furthering their mission to ensure the future of wild cats through scientific leadership and global conservation action. Granato continued to hold the second place position, just behind Swail as the competition continued. He has seen his name at the top of the jumper leader board throughout the 12-week series, and he knew that he would have to be efficient and quick to keep the consecutive competitors chasing his time. As the day was coming to an end, Chicago’s speed demons, Lisa Goldman and Morocco, laid down an astonishing round, but one additional stride in the opening line would separate them from Swail’s time, finishing in 36.104 seconds, but pushing Granato into the third place. Fourth place was awarded to McLain Ward and Best Buy, while fifth place went to Amy Millar and Heros. Quentin Judge and Ciske Van Overis took the sixth place, with Karina Ulenberg and Umbra 34 in seventh place. Laura Kraut and Constable broke the beams for the eighth place. Swail and Game Ready took the ninth place, with McLain Ward and Dulien Van De Smeets finished in tenth. The exhibitors and guests of The Ridge at Wellington Finale event were treated to an array of food during the champagne lunch, sponsored by IPC. Throughout the series, the hospitality has been unparalleled, with complimentary breakfast and lunch for attendees of the event. Whether exhibitors stayed for their round of competition, an hour, an afternoon or the whole day, rave reviews resounded throughout the equestrian community about how Nona Garson and George D’Ambrosio brought the tradition of show jumping back to the discipline. The Ridge would like to thank the cooler and banner sponsor throughout the series, Dover Saddlery. They are very grateful to their jump sponsors Panthera, Hollow Brook Wealth Management and PJ Saddles. For videos of the competition, please visit www.shownet.biz. The Ridge at Wellington Turf Tour offers their popular 1.40m Invitational Grand Prix for its third year, with an open in gate format taking place once a week at beautiful venues throughout Wellington. The Ridge at Wellington Grand Prix Finale will take place March 27, 2015. The Turf Tour also will host 1.30m-1.35m Jumpers every Wednesday beginning January 7, 2015 and running until March 18, 2015. Young Jumper Classes and both Children’s/Senior Jumper Classics will find their home intermittently throughout the Wellington Turf Tour, running concurrently with the 1.30-1.35m and 1.40m Jumpers. The Ridge at Wellington offers Equitation Shows every Tuesday of the month from January 6 – March 23, 2015. There will also be a series of schooling shows at the Ridge at Wellington for all experience levels. Two USHJA International Hunter Derbies will take place February 6, 2015 and March 20, 2015. The Ridge at Wellington series includes several weeks of competition throughout the Winter Season with USEF Rated Equitation Shows. This winter will also feature five two-day schooling shows. 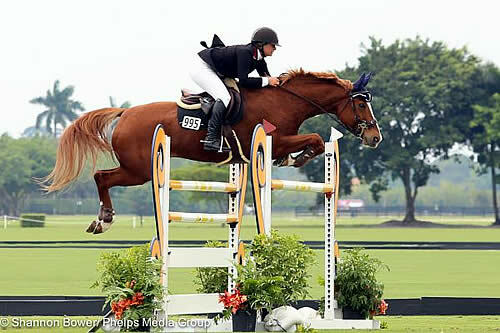 The Ridge at Wellington Turf Tour will offer 1.30m-1.35m Jumpers, 1.40m Invitational Grand Prix, Young Jumpers, Children’s/Adult Classics, Masters Jumpers, Junior/Amateur Classics, two hunter derbies and the Pre-Green Incentive Stake.